PayPal will shut down its business in Turkey on June 6 after regulators there denied the online payment processing service a new license. 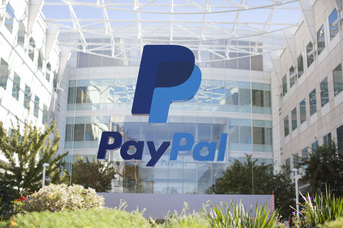 PayPal told consumers about the development in a Turkish-language notice on the Web and a spokesperson confirmed the details to Paybefore. The closing stems from Turkish rules issued by national financial regulator BDDK that require IT infrastructure to be based in Turkey. PayPal operates its IT via global servers and other distributed technology, but does not operate an information center in Turkey and doesn’t wish to concentrate its technology in any one country, the company says. PayPal customers in Turkey will continue to have access to their accounts to transfer money to Turkish financial institutions. The closing reportedly impacts thousands of businesses and hundreds of thousands of consumers, though no fixed numbers were immediately available. As PayPal prepares to leave Turkey because of local regulations, executives from the company eye geographic and product expansion. At Money20/20 Europe earlier this year, PayPal Europe CEO Rupert Keeley said the company has “a vision to provide a much broader range of payments,” including direct deposit, credit, checks, P2P, bill pay, in-store payments and international remittances.